As an important part of the door industry, the anti-theft door industry is undergoing a reshuffle. During this period, there may be some small brands that will be eliminated but eliminated; but for large brands, only the continuous improvement of their own risk-resistance Ability to thaw successfully. Small brands of anti-theft doors can start from the following perspectives in order to overcome the difficulties of development. Brand personalized security door brand manufacturers should brand personalization. After more than 20 years of rapid development, security door products and service quality have become a new pursuit for the young generation of consumers. In the first-line city's stable property market regulation and control policies, young people's just-neededness has become the first consumer power. In the next year or two, individualized security door products, e-commerce sales channels, and one-stop sales models, these products and models that are consistent with young people's consumption habits and tastes are increasingly favored by enterprises. Anti-theft door companies need to accelerate the brand individuality to keep an eye on the hardcover room market The hardcover room market is focused on the hardcover room market. Because of the advantages in energy saving and environmental protection, coupled with the promotion of urbanization and consumption upgrade, the fine decoration industry has obtained strong support from the country. In contrast, the traditional home improvement market has been squeezed and has become an important reason for companies to move toward the hardcover market. 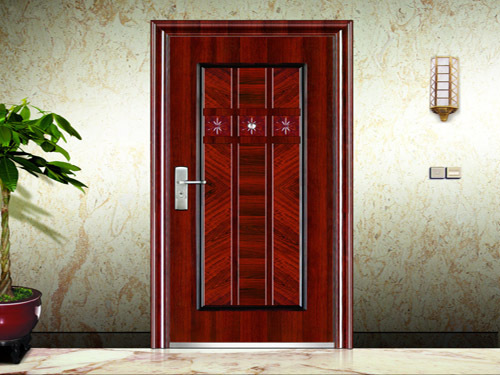 Fine decoration is the development direction of the future security door home improvement market. Whether it is cooperation with real estate developers or ordinary residential users, companies will target this piece of cake. It is reported that the profits of the fine decoration come mainly from the amount of money, and the cost and duration control are very strict. The amount of capital required for the security door companies is quite large. This requires a very strong supply of logistics and transportation, Raw Material procurement, and financial support, so it can undertake the security door. There are not many companies. At present, some anti-theft door companies are still mainly offering packages, attracting affordable housing and consumers with hardcover demand. The home improvement industry has become increasingly standard, and has clearly entered the stage of big waves and scouring. It thoroughly studies the market, optimizes corporate management, and enhances brand influence. Some indiscriminate situations will disappear, and this will become the only way for security companies to grow. Insiders pointed out that in order to overcome the difficulties of development, small brands of anti-theft doors must make good use of their own product advantages and improve their functional brands in order to create a greater harvest with a smaller investment scale. Monband can supply kinds of raw materials including MAP12-61-00, MKP00-52-34, Potassium Sulphate, Potassium Nitrate and so on. All these products have REACH CERTIFICATION. Each our product can make sure the quality. Our products look nice with enough content. Fully water-soluble, Consists of 100% plant nutrients. monoammonium phosphate is recommended for use at the beginning of the growth season( PH value of 1% solution is 4.5). Potassium Nitrate is a kind of White crystalline powder, chloride-free High N and K compound fertilizer, total content N+K2O is 59%. Monopotassium Phosphate meet the need of potassium of crops, lower salt- chemical index, applicable to all crops and all stages, including flowering and maturity stages.